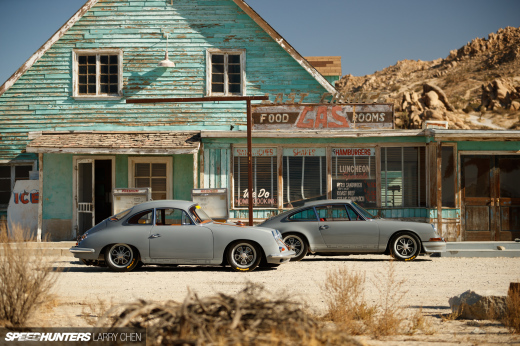 With the popularity Porsches are enjoying right now, it’s understandable that we’re continuously coming across cool and unique builds. 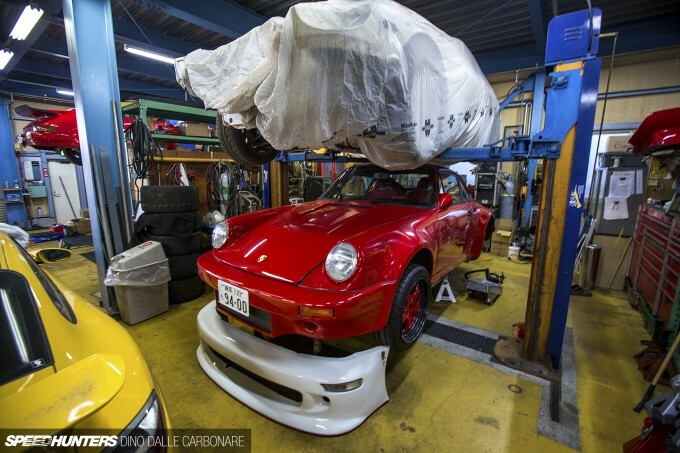 In fact, I just flew to Malaysia the other week to follow Nakai-san as he created the first RWB 911 in Kuala Lumpur. 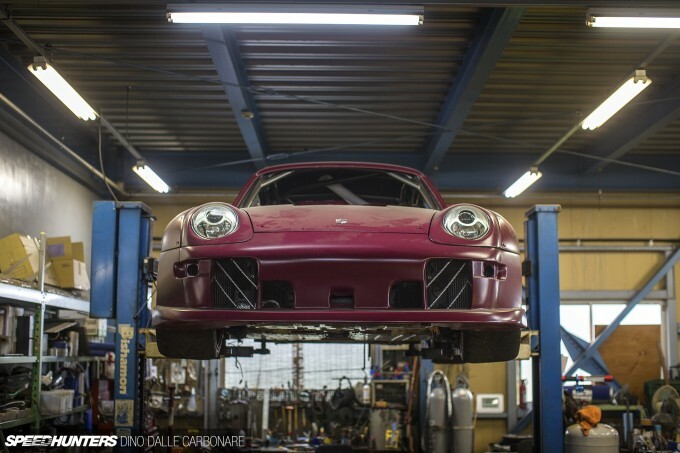 But more on that soon… What I want to share with you now is a place that’s been modifying, rebuilding and generally doing all sorts of cool Porsche-related stuff for the best part of three decades. If you’ve been following my posts on RWB and idlers over the last few years, there’s a good chance you’d have heard the name Promodet being thrown around. 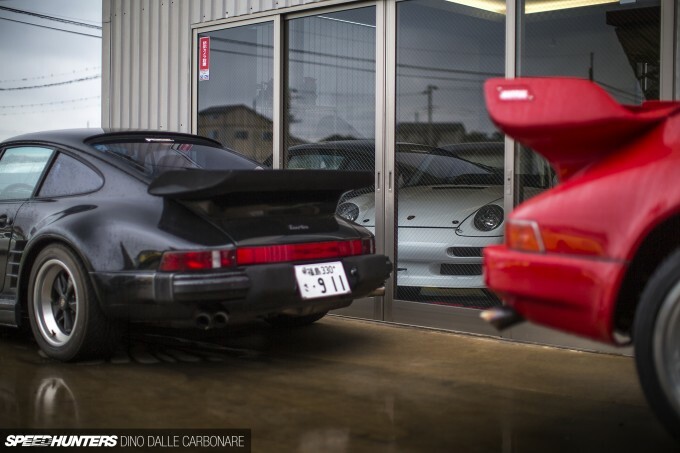 Located about an hour’s drive away from Nakai’s little workshop in Kashiwa, this is where a lot of Porsche owners in the general Kanto region choose to have their mechanical work done. Komine-san, the man behind the operation, is nothing short of a legend – he was heavily involved in the build of the iconic Mid Night 930 Turbo, which then served as inspiration for the Black Bird in the Wangan Midnight anime. If you recall, I recently featured a car that was inspired by this legend, and that was also built and recently refreshed by Komine, before being sent off to Louisiana of all places. But as cool as that particular project turned out to be, what fascinates me more are the workshops that cars like these are built out of. 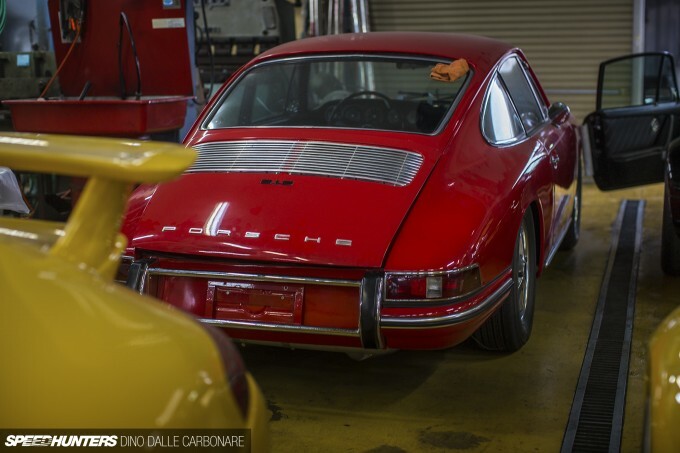 Seeing where Komine and his staff strip and work on 911s and other cars of various vintage, gives an unquantifiable value to Promodet’s name. While many garages in Japan are at best slightly underwhelming at first glance, it’s not the case with Promodet. 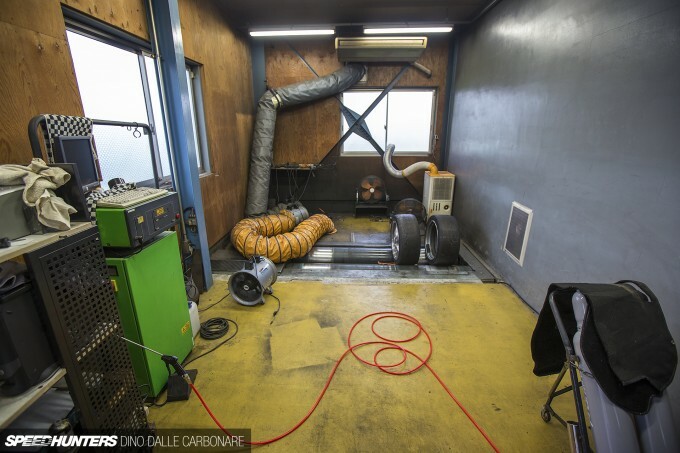 This is not a single-lift, Japanese micro-tuning shop – it’s an impressive operation with four lifts, a dedicated machine shop and plenty of room for builds and parts storage. 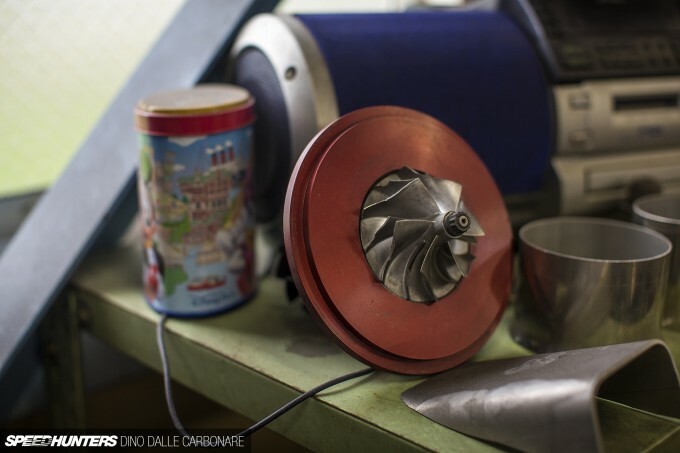 And that’s before getting into the seriously mouthwatering array of machines that you’ll find parked in the workshop at any given time. Komine-san, pictured here, is very aware of the sudden attention that all generations of air-cooled Porsches have garnered over the last few years. 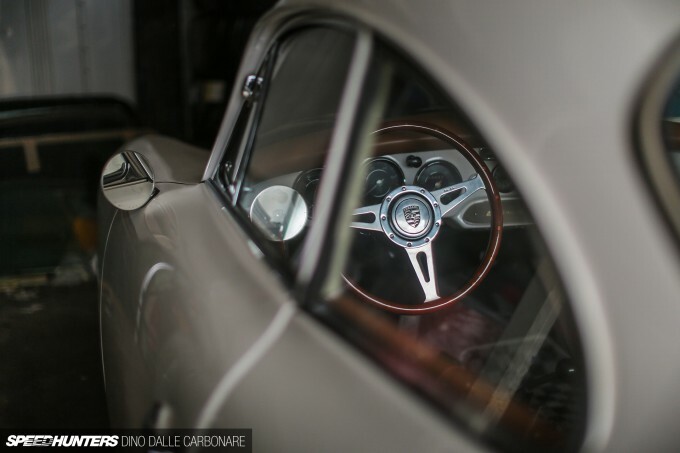 He pointed to a 912 sitting in one corner of the shop, and told me that it was recently fitted with a reworked flat-six out of a newer generation 911. It might be different to how collectors in other parts of the world do it, but most of Promodet’s customers are still in it for the fun factor. They aren’t too fussed about going a bit overboard with tuning, swapping motors or fitting aero parts to make their cars stand out. It almost seems like they’re flicking a big middle finger to all the bickering and judging purists out there, but they aren’t. They’re in it for personal satisfaction and don’t really care what everyone else thinks. 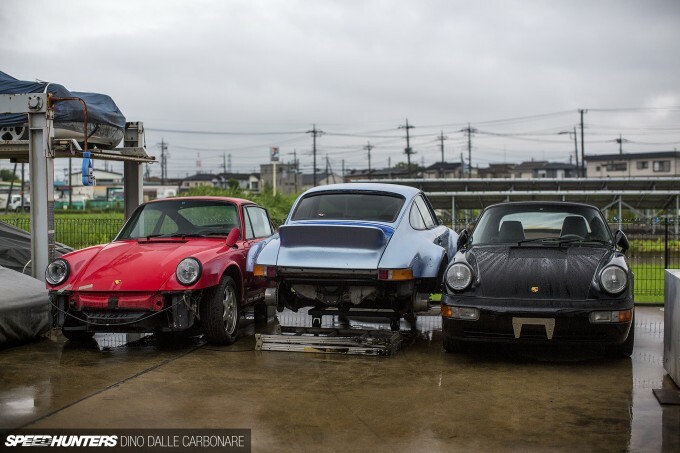 Like I mention time and time again, there is very little attitude in Japan when it comes to car culture. People do what they feel like and aren’t judged. While I was freely roaming around the shop, Komine-san spent the best part of a couple of hours buried deep into the engine bay of an older 911, eventually dropping the motor in preparation for a little refresh. Not too far away was another engine he had dropped out earlier. Compared to many of the JDM-oriented shops that I visit, I was really impressed with the sheer amount of work that Promodet had on the go. 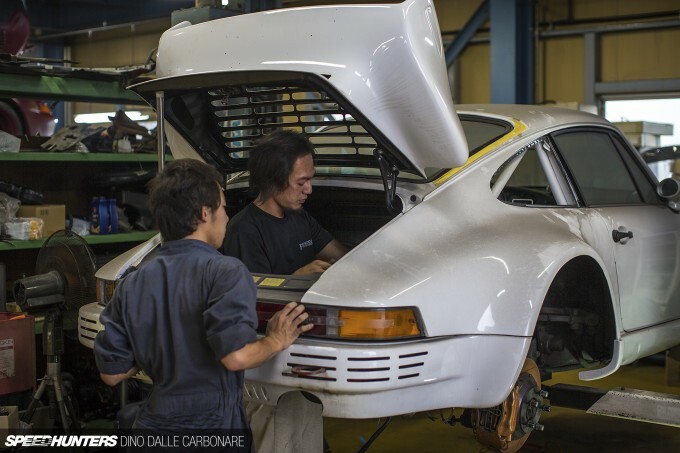 There were four cars being worked on at the same time, and the speed that Komine’s workers fitted an engine to the white 930 you saw earlier blew me away. On one of the lifts was an RWB creation. This car had recently been involved in a pretty dramatic off at an idlers event, so after being aesthetically fixed up at Nakai’s shop it was dropped off to Promodet for a complete mechanical overhaul, plus a little more tuning. Included in the latter is a custom-fabricated exhaust manifold, a larger turbo and the switch to a MoTeC engine management system. 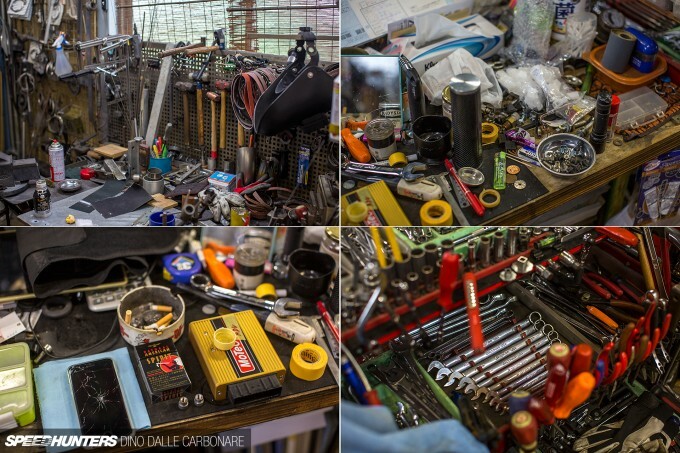 I love seeing the work benches of established shops that like Promodet have been around for decades upon decades. The amazing collection of tools and the way in which they are stored and hung around the place; the spare parts; the ashtrays filled to the brim with smoked cigarettes. Not to mention the general decor. It all combines to create a real atmosphere. 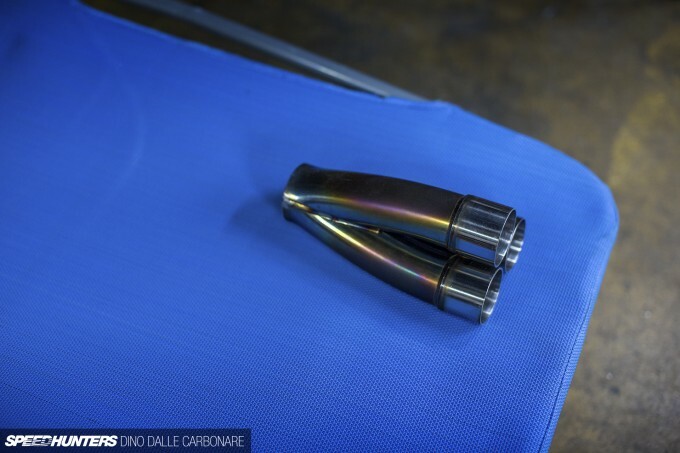 One of Komine’s mechanics showed me a section of the stainless steel header he had just completed for the RWB 993. This will be used to link each bank of three cylinders up to the massive turbo that’s hanging off the rear end of the car. Once completed, I’m told this car will be good for 600hp. A familiar sight that you come across a lot in these older shops are vintage Bosch chassis dynamometers. Promodet’s one is set up in a separate section of the workshop. Compared to modern dynos it all seems a bit prehistoric, but as a general rule of thumb Japan has always lived by the ‘if it ain’t broke, don’t fix it’ mantra. As Komine also told me, after setting up a car they spend hours out on the highway at night fine-tuning the ignition and fuel maps in a ‘real world’ scenario. This is because these old dynos can’t simulate inclines or any of that sort of stuff, so there are limits as to what can be achieved. Out the back there were a good 10 or so cars parked up, either waiting to be worked on or serving the rather sad purpose of a parts donor. 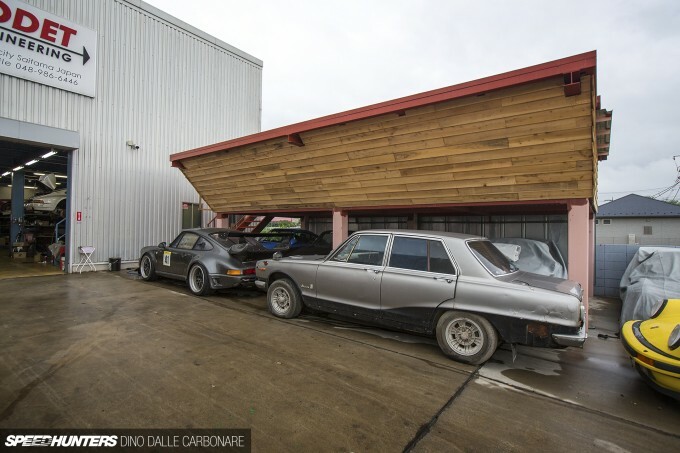 There is more covered storage space at the back, and again, parts and donor cars are kept within easy reach. It’s here you’ll find some of Promodet’s old cars, like this drag project which has sat idle for a good five or six years now. One car that instantly caught my attention was this stunning 356 that appeared to be in absolutely perfect condition. 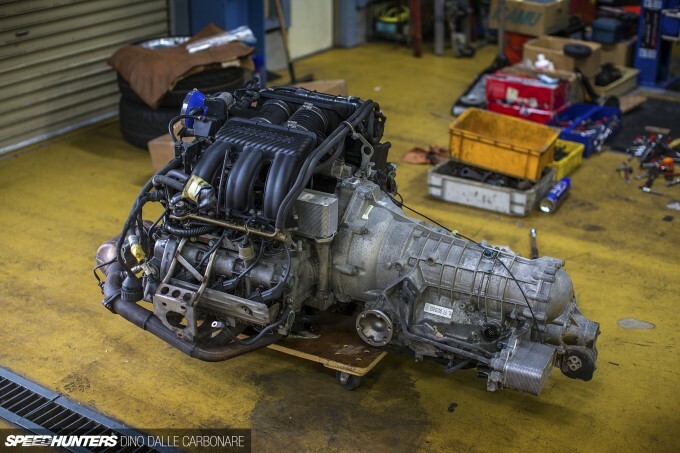 It may look completely factory but it’s actually running a modern flat-six swap; the owner wanting to achieve the ultimate old school Porsche sleeper. Komine tells me it’s seriously fast. While I explored, the 930 Turbo I had come to Promodet to shoot was being cleaned up and prepared for its long trip across the Pacific. The following day it was due to be picked up and taken to the Port of Yokohama for loading into a container. 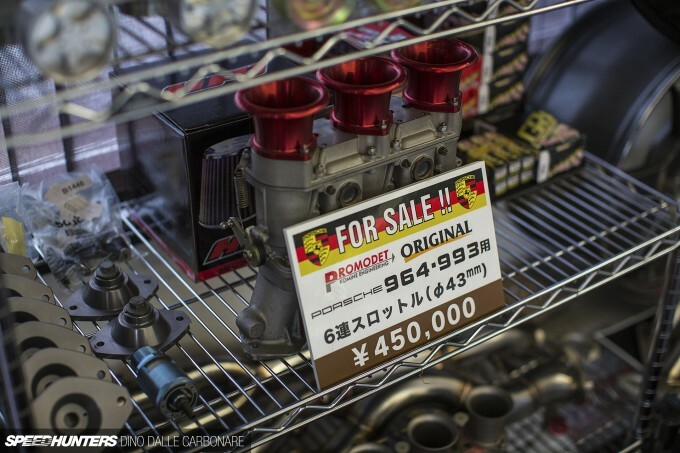 As there is at every tuning outfit in Japan, Promodet has a small shop area where customers are greeted. Seeing the amazing car that was on display, I couldn’t wait to head inside and check what cool parts were on show. 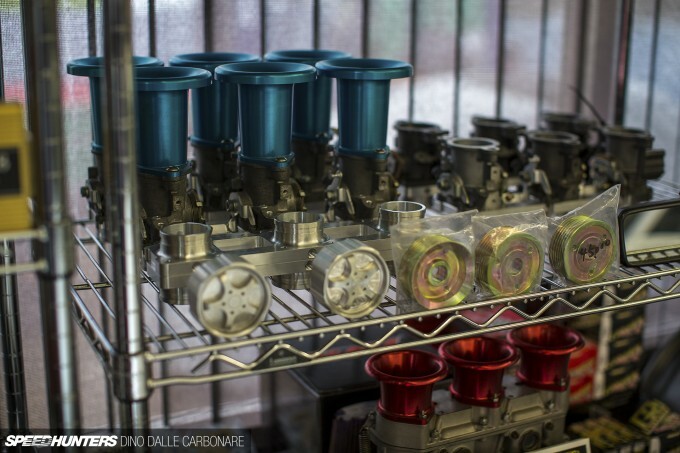 One of the most popular upgrades that owners of naturally aspirated air-cooled cars opt for is replacing the complex air ducts and boxes with a much simpler, and way cooler looking, individual throttle setup complete with billet velocity stacks. Promodet has kits ready to go for all applications. 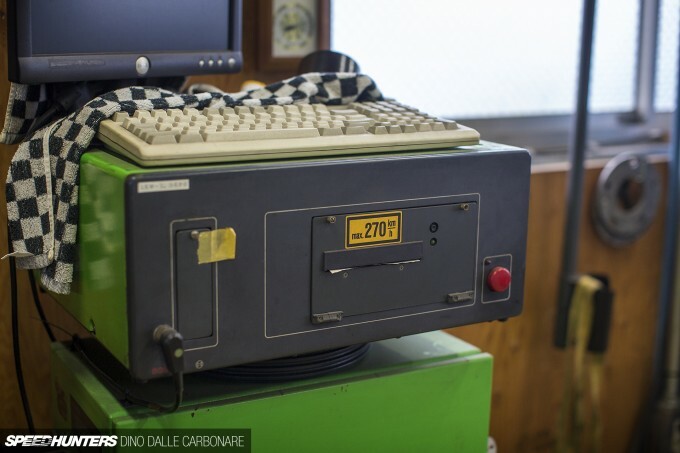 Ever since Komine-san started the company, he’s built cars for many different disciplines. First it was high-speed setups for the Wangan and the Yatabe top speed events that Option magazine ran in the ’80s and ’90s, moving onto drag racing and eventually circuit. 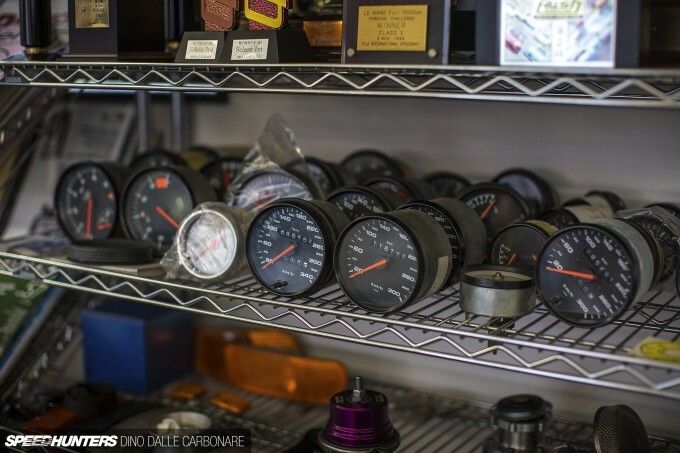 There were a huge number of genuine parts on display, like this selection of speedometers – some going all the way up to 340km/h. 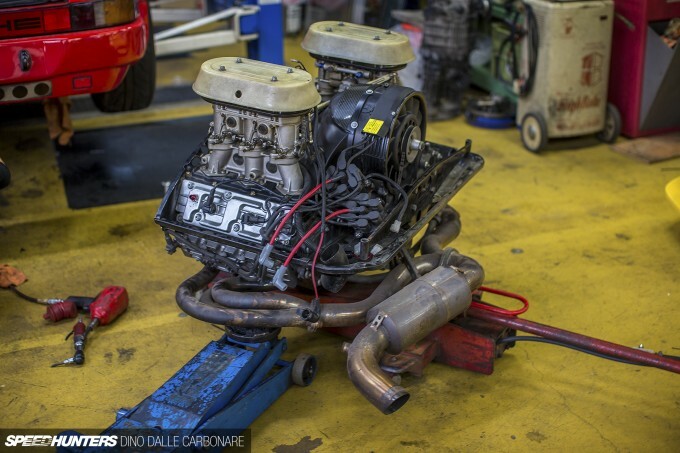 Of course, when the opportunity arises Komine never turns down the chance to work on a different sort of car. This old four-door Hakosuka appeared to be in some serious need of help. So there you have it. 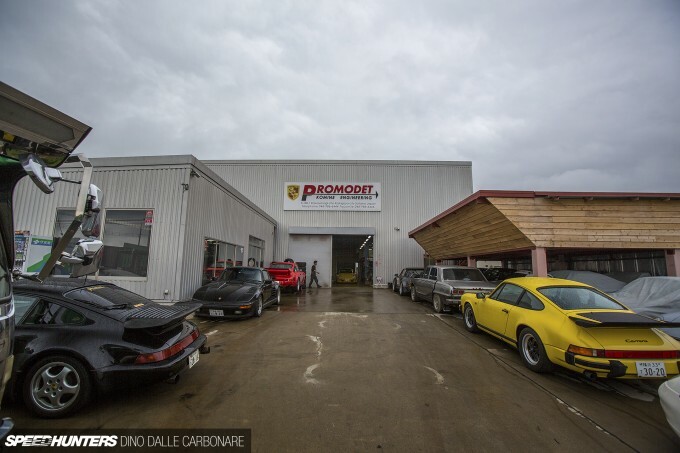 In a nutshell, Promodet is a Mecca for Porsche owners in Japan. Komine is trusted and revered by his clients – and it’s been this way for decades. His work speaks itself, which is why there is always a long line of cars waiting to be given the Promodet touch. It all adds to the curious Porsche movement that’s going on globally, where in each country there are different styles and looks that people strive to emulate. Komine’s way has always been focused on performance, and that to me makes a hell of a lot of sense! 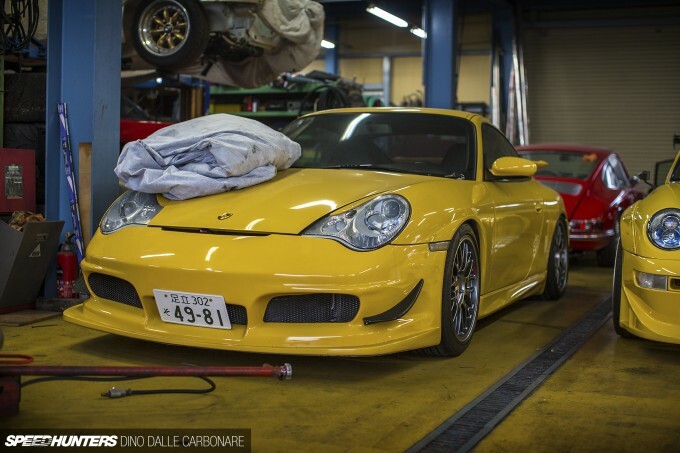 That yellow 996 looks incredibly desirable ... for a 996. Wow Dino. this is awesome. Do you think you can make the cover picture available for download? @speedhunters_dino you nailed it! Fantastic shootout. An very interesting car there. BruiseWayn If you look at the gallery in presentation mode you can download the lead image. Has anyone had success with Presentation Mode on Google Chrome, I can't get it to work? 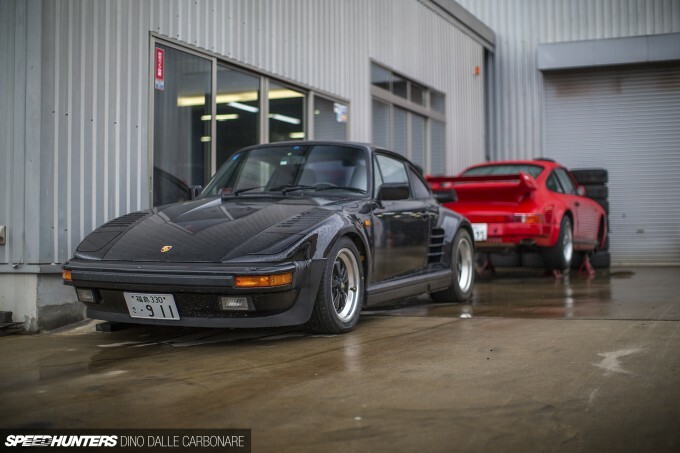 That black 930 Turbo is the stuff of my dreams in a quite literal sense. NRNL Should work no problem? Aisakey Granted they are the least desirable 911 of the bunch, but their time will come. At least that's what every Porsche specialist tells me. PierceJones1 BruiseWayn Wow thanks! That was really helpful! 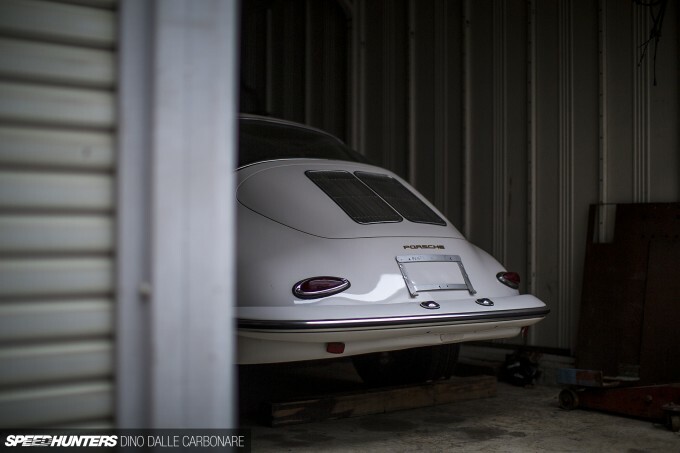 speedhunters_dino Aisakey Most things go through a dip, in between being 'current' and being 'classic', when they are merely just 'old' / past it. In part, it's because each generation returns to buy the stuff they wanted when they were kids, once they have disposable cash as adults. In any case, all the other 911s will be so expensive soon that people will naturally turn to 996s. As stock, they don't look as good as models like the 964, but I expect dynamically there's nothing much wrong with them. Very cool! Makes me wonder who will take over from these old school guys once they're gone..
DevilZ work in progress on the ramp? 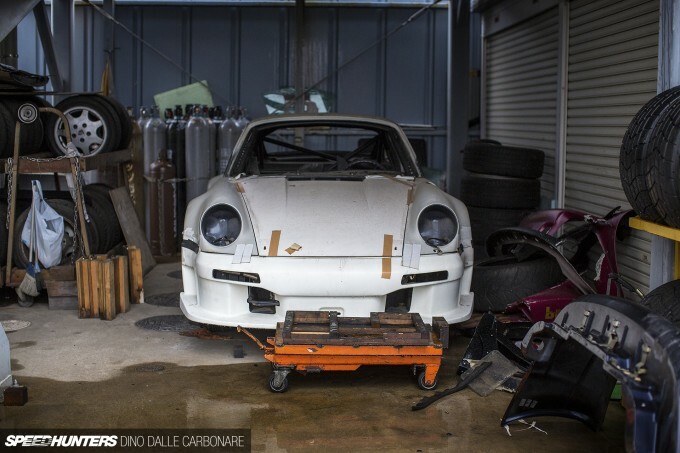 Dino, you got any more of the TBK Garage 930 Porsche? 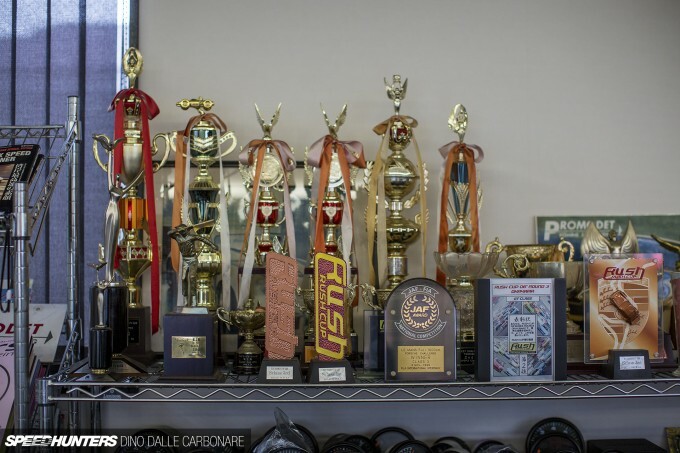 SpeedHunters should start to film small documentaries of this shops and their history! Awesome article Dino! up there with TA Auto and Rocky Auto! ...are they hiring? Awesome stuff. speedhunters_dino NRNL No, it actually doesn't even load the mode. I am able to open the wallpapers though. Thanks anyway. AaronPTorres THIS!! I would watch this over Top Gear anyday! OMG! The place that created the "BlackBird!" 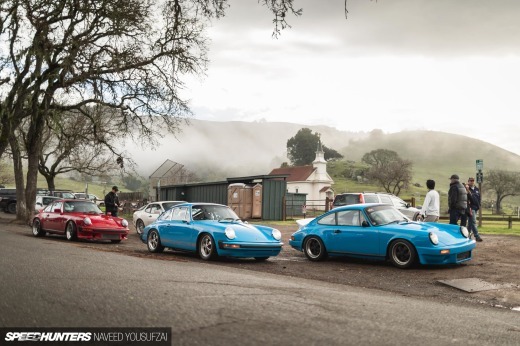 :p ...and how ironic, a white S30Z in the middle of all those 911's..its just had to be! That orange brembo caliper, also F40 calipers? 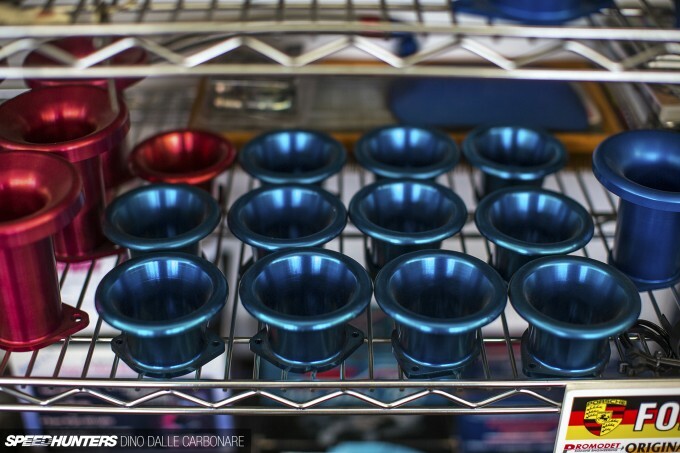 they kinda remind me of the Track set on a Z350! NRNL speedhunters_dino Works just fine on my Chrome, must be a issue on your end. 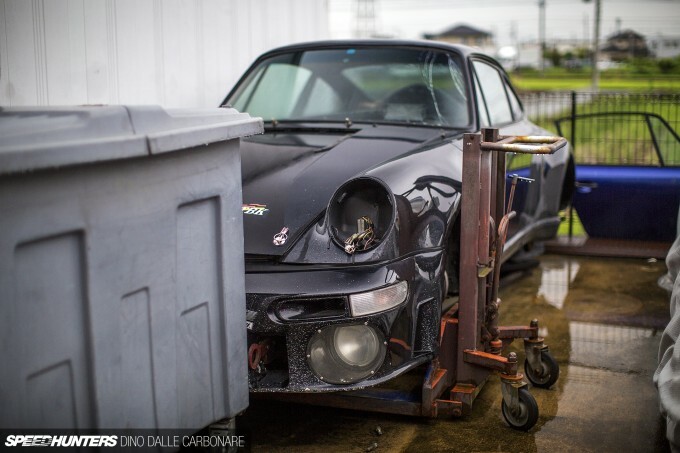 modell3000 speedhunters_dino Aisakey Yeah all other 911s are already way too expensive! Its a great idea i think and the car scene its in the perfect moment for that! I've read a Taiwanese magazine 'Spec-R' about their coverage of Promodet Garage a long long time ago. Somewhere around that garage is where Komine keep the Alfa 155 DTM touring car. Did he still kept it, Dino? @Matiz Didn't knew about that! Its made by SH? I'm going to take a look. Thanks! makes me wanna watch the wagan mignight series again!! !